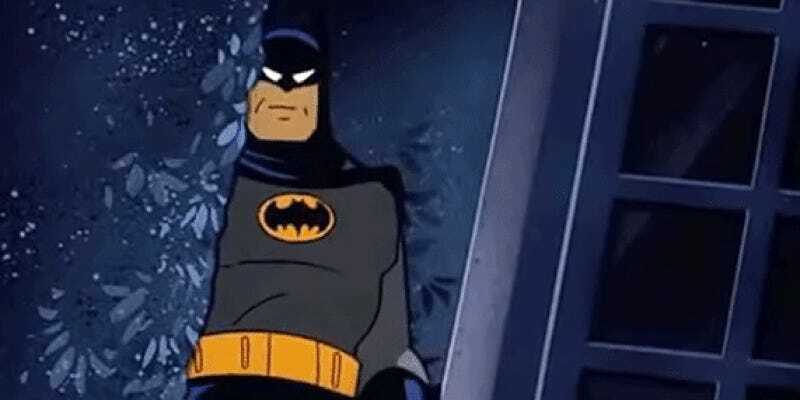 Batman: The Animated Series turned 25 this past September, and while it’s one of the most beloved animated shows of the past three decades, it’s been confined to DVD box sets for years. That’s about to change, because the animated Dark Knight is finally coming to HD. Although it’s not the first time this particular version of Batman has come to blu-ray—earlier this year the beloved movie Mask of the Phantasm marked his arrival in the format—the new release, announced at the show’s celebratory 25th anniversary panel at New York Comic Con this past weekend, will mark the first time the TV series itself will be available in true HD, following the DVD volumes first released in 2004 and 2005. No other details have been confirmed thus far about the show’s release other than the fact that it’s happening, and that it’s expected to release some time in late 2018. Will it be a complete collection or a series of volumes? Will it be remastered in 4K or be 1080p? There’s plenty of questions still lingering about the release, but that doesn’t dampen the joy of finally getting to see this iconic series in crisp, clean glory. We’ve reached out to Warner Bros. for more information on Batman: The Animated Series’ arrival on Blu-Ray, and we’ll update this post if we learn more. I am vengeance. I am the night. I am BATBLOGS!